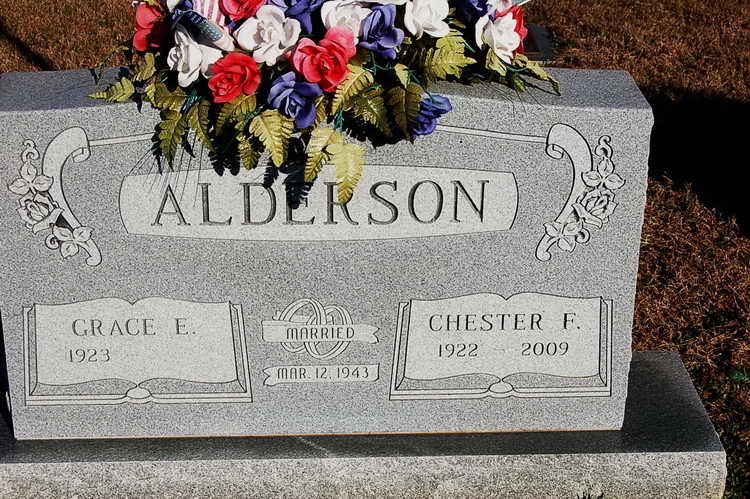 Grave marker for MSgt Chester W. Alderson (Ret.) in the Cash Creek Baptist Church Cemetery, Niagara (Henderson), Kentucky. 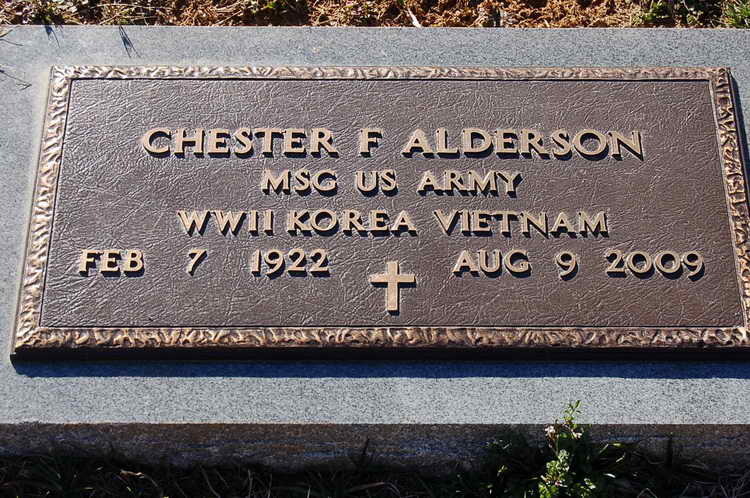 Chester enlisted at in the Army at Ft Benjamin Harrison, IN on 2 October 1942 and was attached to Hq 2nd from the 508th PIR Medical Detachment. T/4 Alderson was awarded the Bronze Service arrowhead device for participation in Normandy assault.